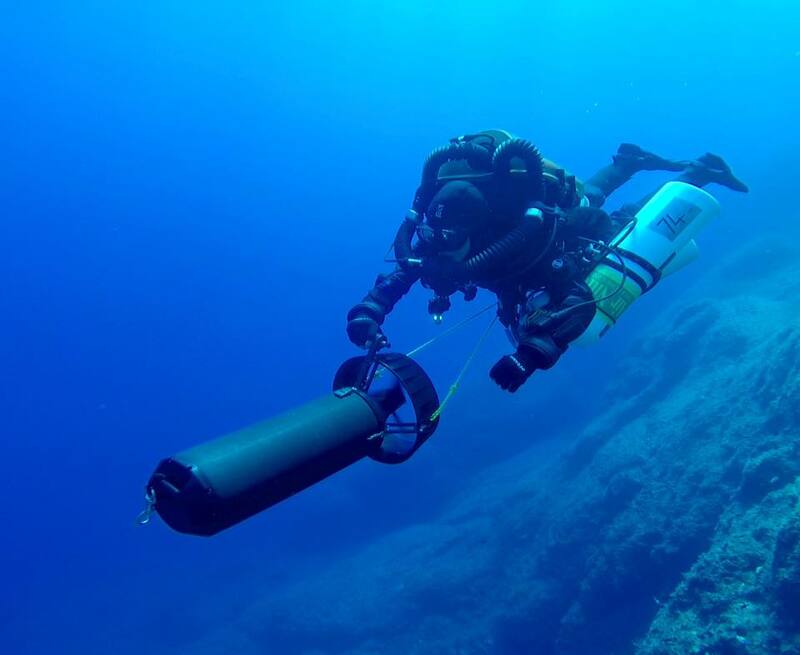 Divers are now over the site at Antikythera. 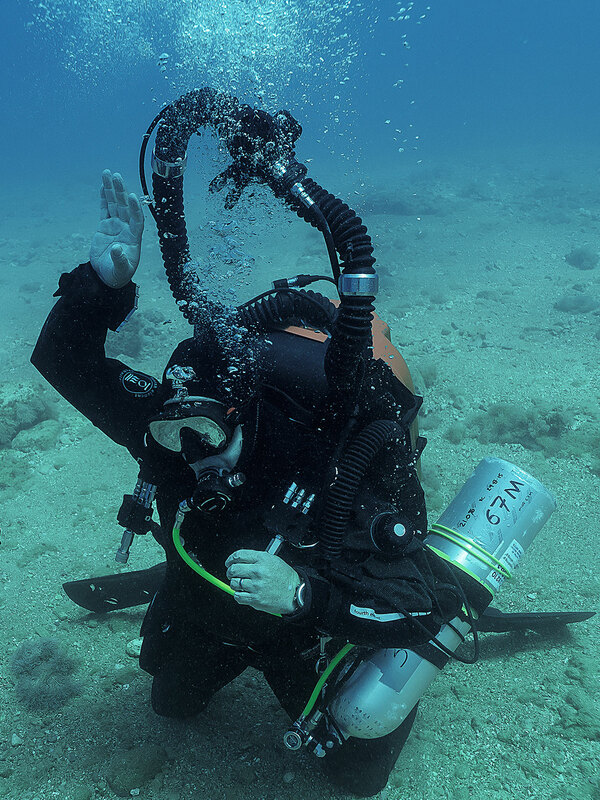 They are making the last preparations before digging into the sands over the wreck – overburden that may at last reveal more of the contents of a wreck that has astonished the world with magnificent marbles and bronzes from ancient Greece. Monday and today will see setup of excavation controls over the wreck site. On land, archaeological excavation is relatively simple. The site is squared off on a grid, usually one meter squares aligned with a north-south axis, soil is then removed with shovels, then trowels and artifacts carefully noted as to location and depth. The soil is then carted off in a wheel barrow to be screened for smaller artifacts and organic remains such as seeds, pollen etc. It’s a simple process that can be learned in a few weeks. But add 40-60 meters of water over the heads of the workers and everything changes. A lot. 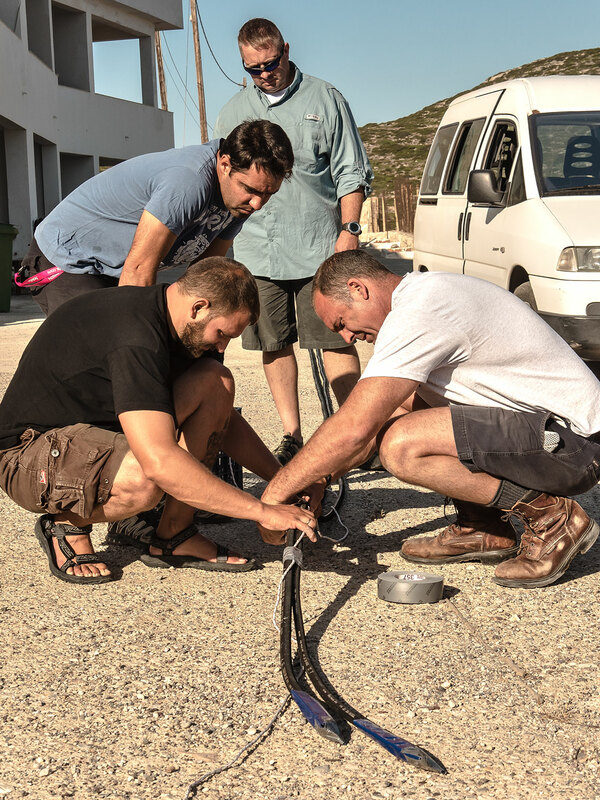 The past ten days or so have seen the Antikythera teams of Greeks and other nationals haul tons of equipment to the little island and then assembly it for one of the most technologically demanding dives ever mounted in Greek waters. 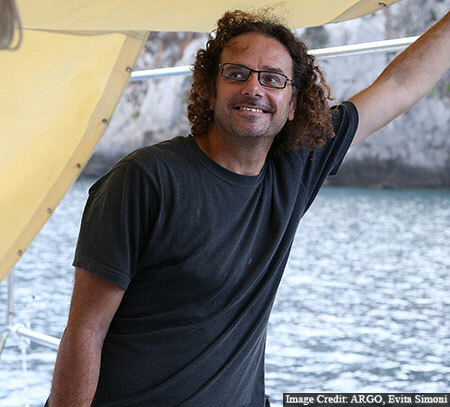 Most of the gear and the preparation concerns the safety of the crew and archaeologists. The underwater environment means life support – in this case mixed gas rigs that have to be assembled and checked. The original dive in 1900 killed one diver and injured two more. They were diving on air and had minutes on the bottom. 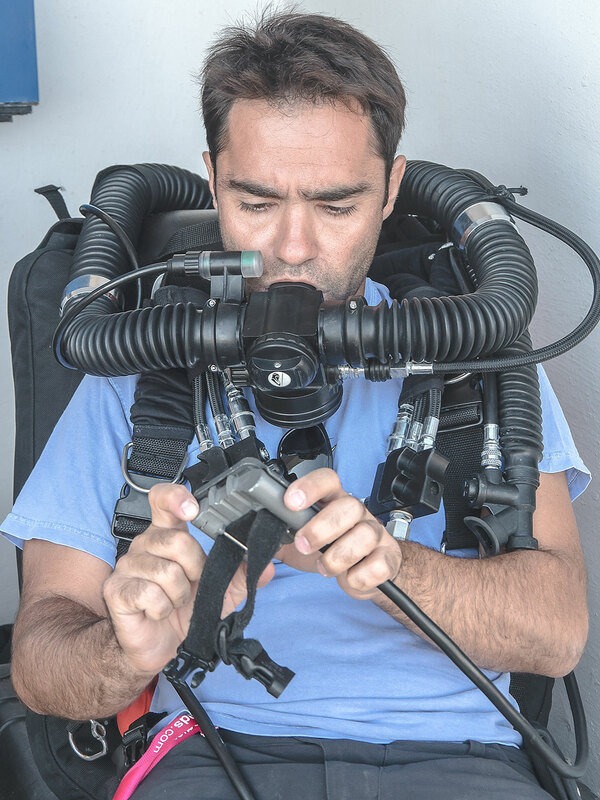 This time a team of technical divers will hand-hold the archaeologists. They will have 90 minutes of bottom time but will need to decompress for another hour or more to avoid the ‘bends’ – gas bubbles in the blood. We have chosen one technical diver to follow, Gemma Smith – but it takes an entire team of such experts to keep the archaeologists safe. 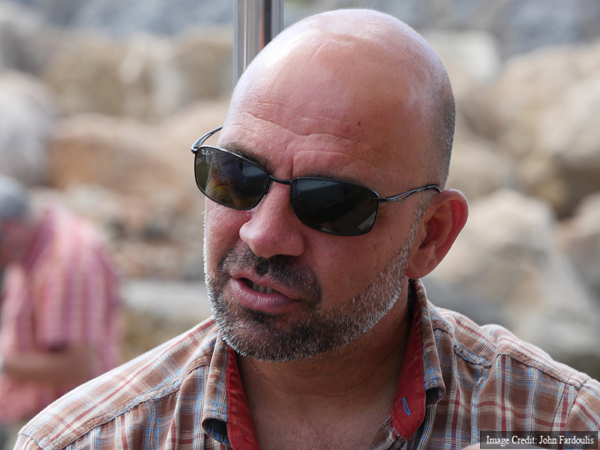 Wednesday will see the first handfuls of sand sucked into the water dredge – probably worked by archaeologist Brendan Foley of the Woods Hole Oceanographic Institute, one of the leaders of the project alongside Dr. Theotokis Theodoulou of the Ephorate of Underwater Antiquities of the Hellenic Ministry of Culture and Sports. The dredge will be held above the surface of the sand. The archaeologists will fan sand up from the bottom and into the current of water being sucked into the dredge. It will obviously be a slow and meticulous process!